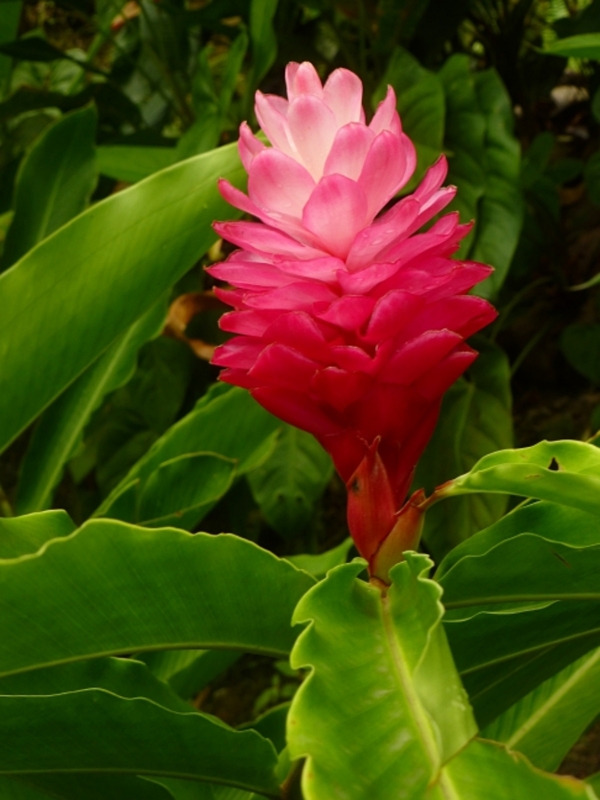 When you step into Maranatha Prayer Gardens you are instantly transported to a tranquil paradise. The owner of Maranatha Prayer Gardens says prayerful communication with God inspired him to create these beautiful botanical gardens. 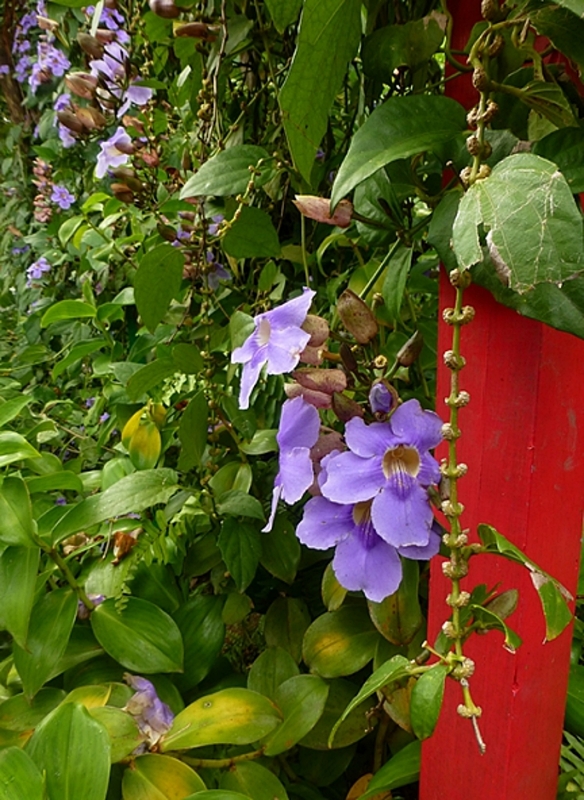 After eight years of work, in 2014, he considered the Gardens ready to be shared. In my eyes, it is wonderful, but the owners say it’s still a work in progress! I am guessing not only does it need constant attention to keep it so beautiful, but new inspirations come from time to time. The name Maranatha means “Lord come” or “Come Lord” and whether you consider yourself religious or not, you can’t help but feel at peace here – inspired, and your spirit renewed. 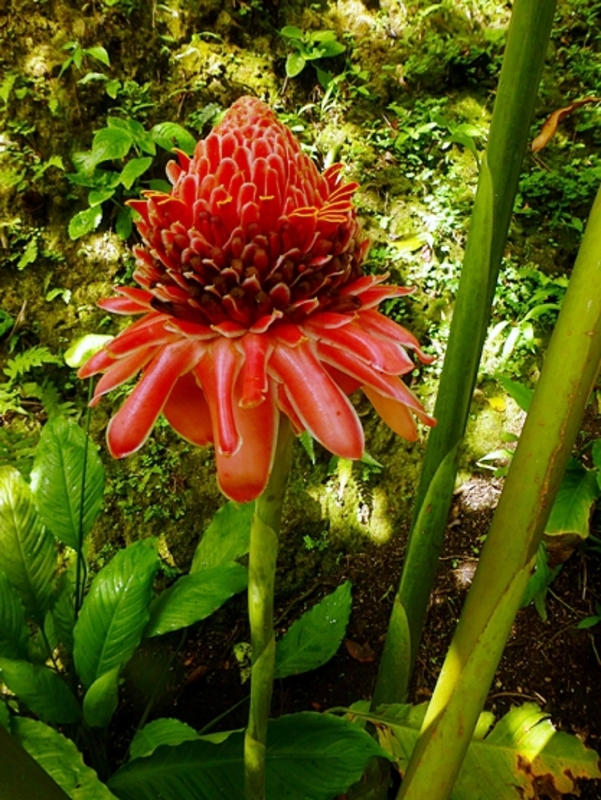 Balisier, and ‘crab claw’ heliconia, ginger and torch lilies, roses, wild red cocchinea, tuberosa vines, hibiscus are just some of the beautiful flowers that you’ll find when you visit. The owners who also run the nearby Beacon Restaurant say, “It’s not just a flower garden but a prayer sanctuary that is open to all people. It is free because the greatest gift of all is free – God’s Love. With over 100 plants, colourful pagodas and gravel paths, the garden presents a wonderfully rich tapestry of colours, shapes, textures. 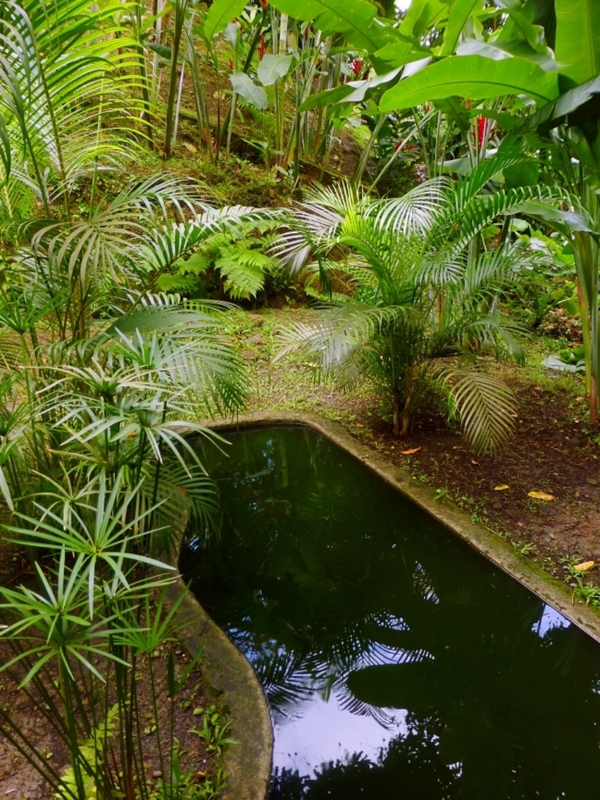 Follow along the gentle slopes and steps between levels to the bottom where small water ponds, with koi carp reflect huge palms and balisier hang over the natural ravine. Torch lilies are favourites of hummingbirds and photographers alike! 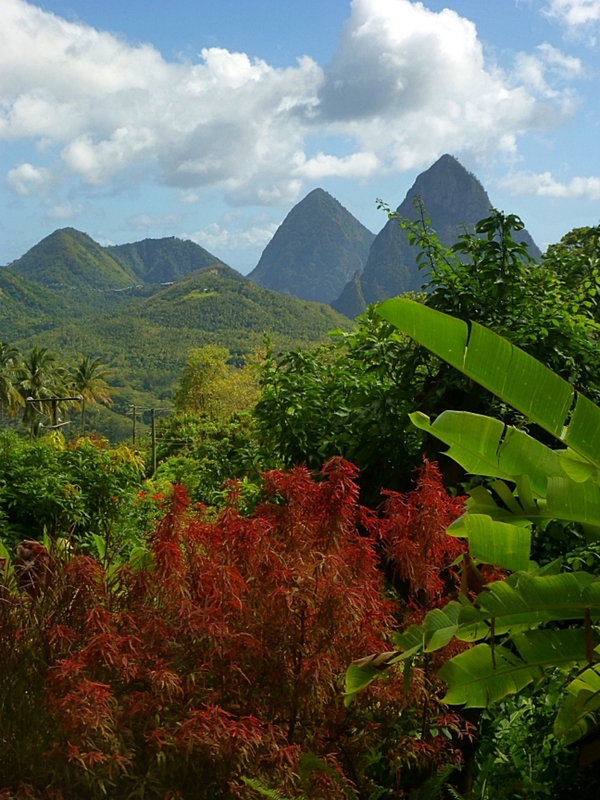 Or make your way up past huge old trees, birds and showers of bright flowers till you reach the clear lookout point where the view of the Pitons World Heritage Site is breathtaking. 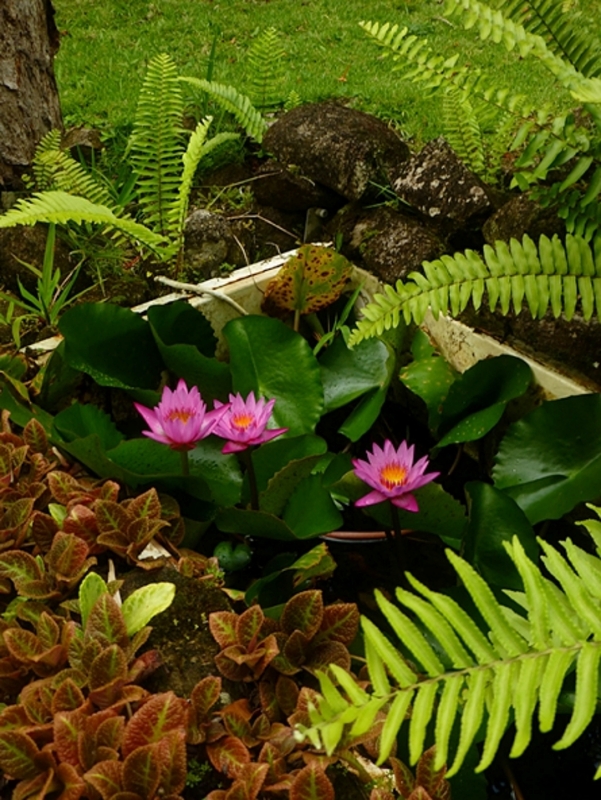 Maranatha Prayer Gardens has whatever you need to get you into contemplative, relaxed, meditation. Of course, you may not have the garden to yourself, members of the community use the gardens for worship, weddings, photography opportunities and moments of fellowship with God an each other. 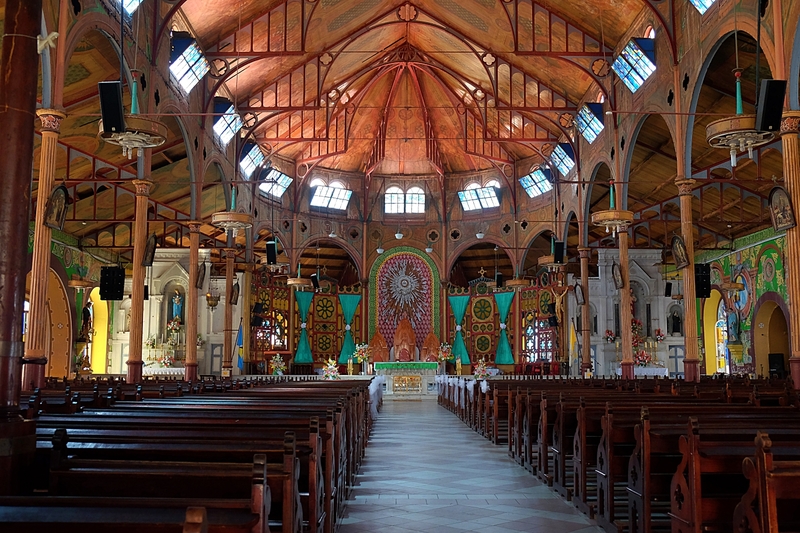 But the space is big enough and complex enough for numbers of people to be there at the same time and still be able to experience the tranquillity. You may also bump into the lone older gentleman who tends the gardens. He’s very friendly, always seeming to find time to say hello to visitors. 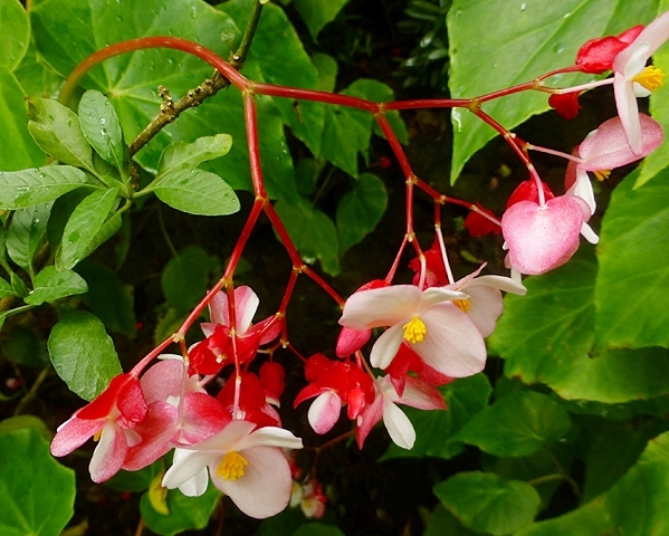 Owned by The Beacon Restaurant’s Hilary Charlemagne, these gardens are located on a hairpin bend in Colombette above Soufriere – if you are coming from the north, they are before Soufriere. You can park at the Beacon Restaurant or there are a few spaces just outside the gardens but be careful to park as far off the road as you can. 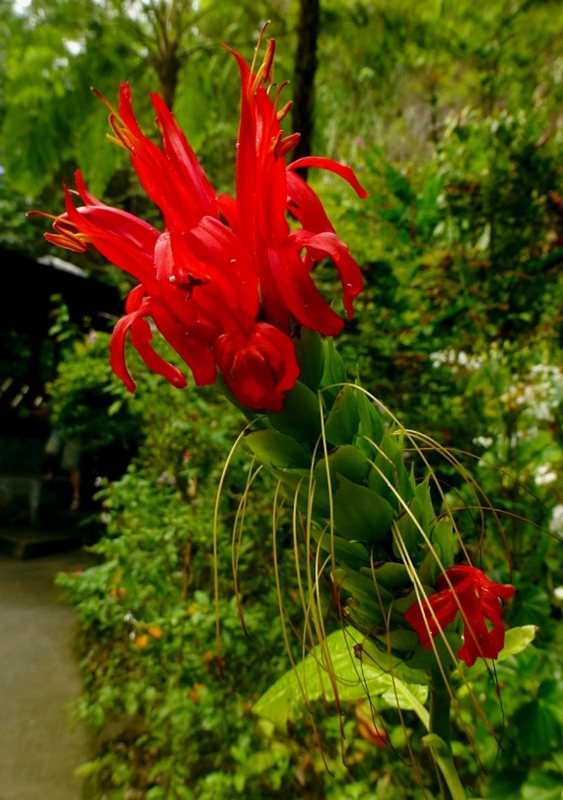 From Soufriere, drive north and look out for the colourful Beacon Restaurant that will appear above you on the right – the gardens are before it, on a hairpin bend, on your left. 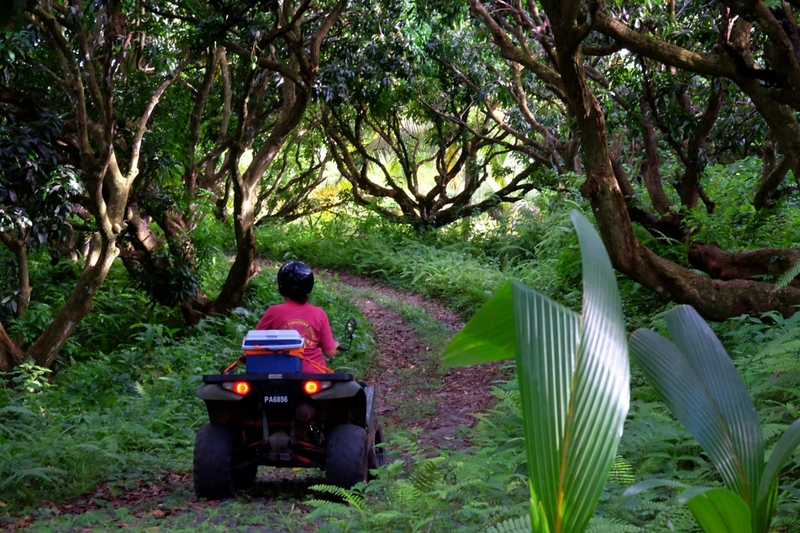 « ATV Paradise Farm & Eco Tours at Fond Estate – forest bathing!